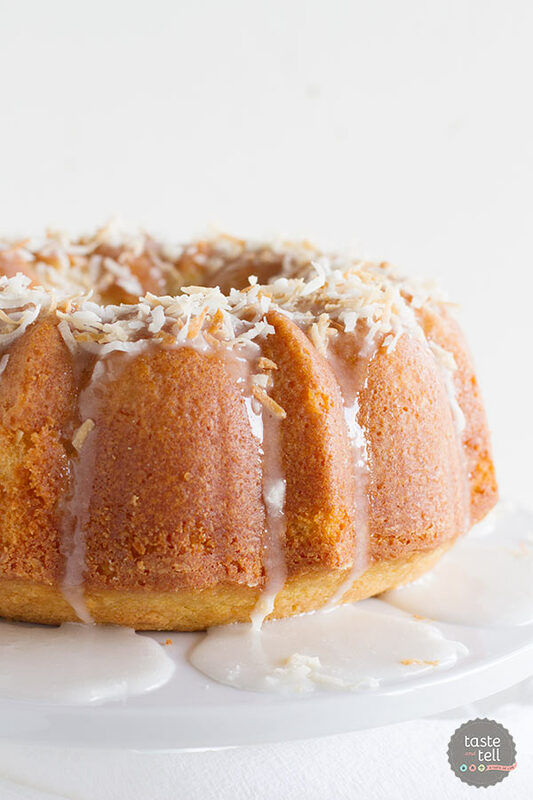 Crazy for Coconut Bundt Cake – the most perfect coconut bundt cake recipe that is flavorful and moist with the perfect amount of coconut flavor. I don’t know what it is about bundt cakes, but it seems like just about everyone loves them. I think it’s because they aren’t intimidating like a layer cake would be. 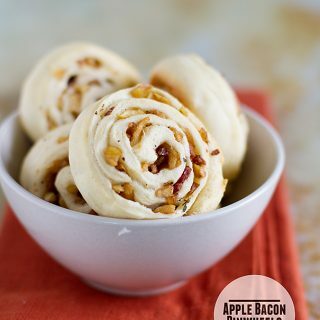 They remind me of something you’d whip up on a Sunday night to take to grandma’s house. As much as I love a good layer cake or a beautiful cupcake, I’m always drawn towards the bundt cakes. 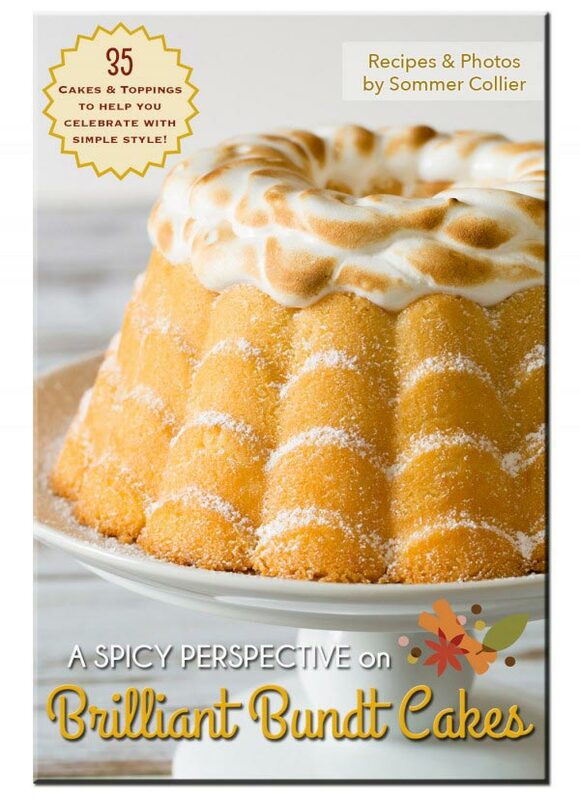 Which is why I am super happy to be sharing this recipe today, courtesy of a new ebook by Sommer from A Spicy Perspective – Brilliant Bundt Cakes. I was so excited when Sommer released this ebook, as my bundt pan doesn’t get enough use, and I knew this ebook would get that pan on a regular rotation. Brilliant Bundt Cakes is filled with 25 bundt cake recipes – perfect for any occasion. And it doesn’t stop there – you also get 10 topping recipes (for things like Fresh Blueberry Sauce or Creamy Peanut Butter Sauce) – recipes sure to add something special to your bundt cake. Number of Photos: Many! There is a photo of every recipe, and each and every one is beautiful. Difficulty Level of Recipes: Easy. Bundt cakes are known for being pretty simple, and I think all of the recipes fell into that category. As long as you can remember to grease and flour the pan well, you shouldn’t run int any problems. Availability of Ingredients: Easy. You should be able to find all of the ingredients in a normal grocery store. 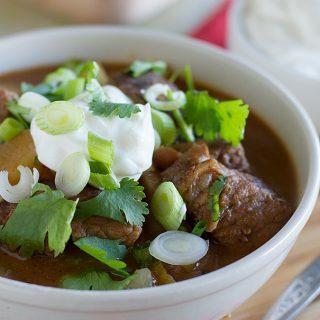 In fact, I think I had many of the ingredients for several of the recipes right in my pantry. I loved the array of recipes in this book, and honestly changed my mind multiple times when I was trying to decide what to make. 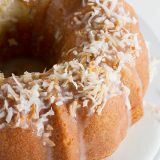 I have a thing for coconut (especially lately) so it should be no surprise that I ended up going with this coconut bundt cake. And let me tell you – I was very happy with my choice. I would completely recommend this ebook to everyone. 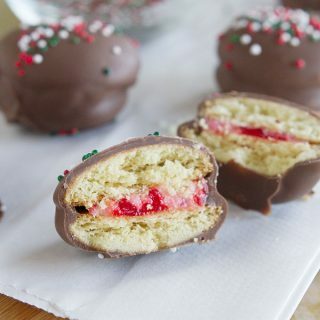 And the timing is perfect, as I’m sure you are still looking for desserts for holiday parties or even for your big holiday meal. And right now, Brilliant Bundt Cakes is only $2.99. You can’t beat a deal like that!! Preheat the oven to 350ºF. Grease and flour a 12-cup bundt pan. 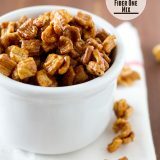 Combine the butter and sugar in the bowl of a stand mixer and beat until light and fluffy, 3-5 minutes. In a medium bowl, whisk together the flour, cornstarch, baking powder and salt. With the mixer on low, add in the vanilla and the eggs, one at a time. Scrape down the sides of the bowl, and with the mixer still on low, add in the coconut milk and flour mixture. Scrape the bowl again and mix until smooth. Stir in the shredded coconut. Pour the batter into the prepared bundt pan. Bake the cake until a tester inserted in the middle comes out clean, 55-65 minutes. Cool the cake for 30 minutes, then turn out onto a cooling rack and cool until room temperature. 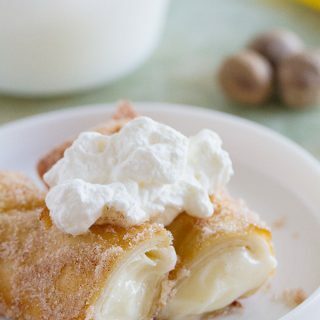 To make the glaze, whisk the coconut milk and powdered sugar until smooth. Drizzle the glaze over the cooled cake and immediately garnish with toasted coconut. 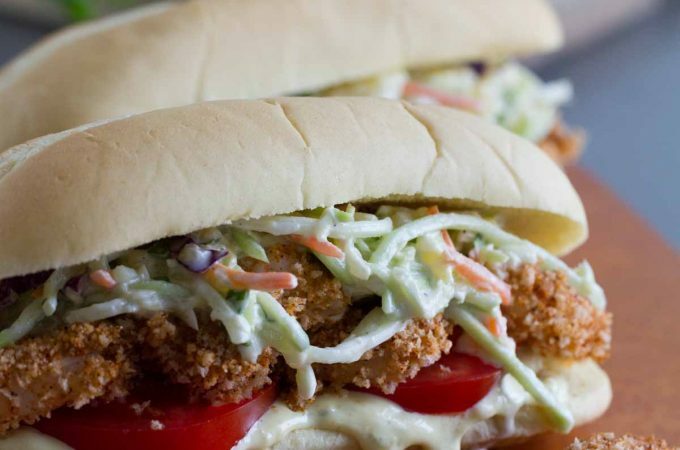 This is the ultimate coconut lover’s dream! I happen to be in that category and I am all over this cake! Yes, please! Your cake looks absolutely delicious! 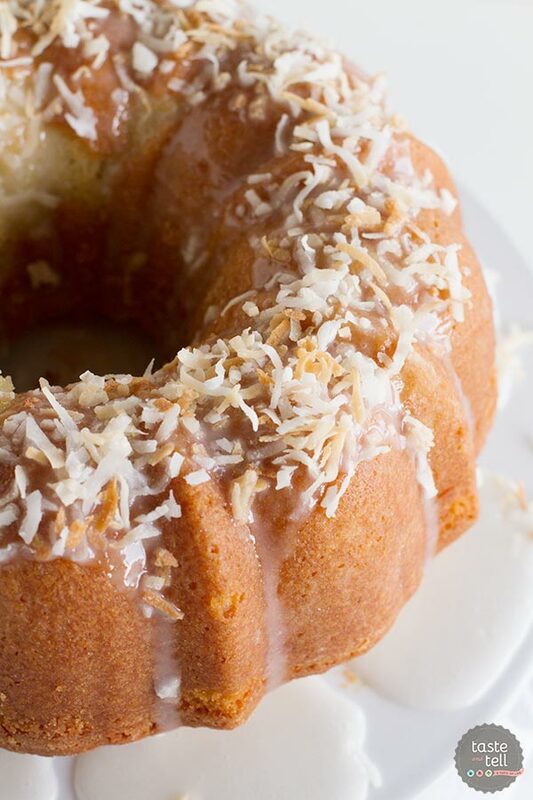 This coconut bundt cake looks amazing!!! like, oh my gawd. . so good!!! I love Sommer and her blog and will definitely check out her e-book! I love bundt cakes. . I think they are timeless and beautiful so love that she did an entire book on them! 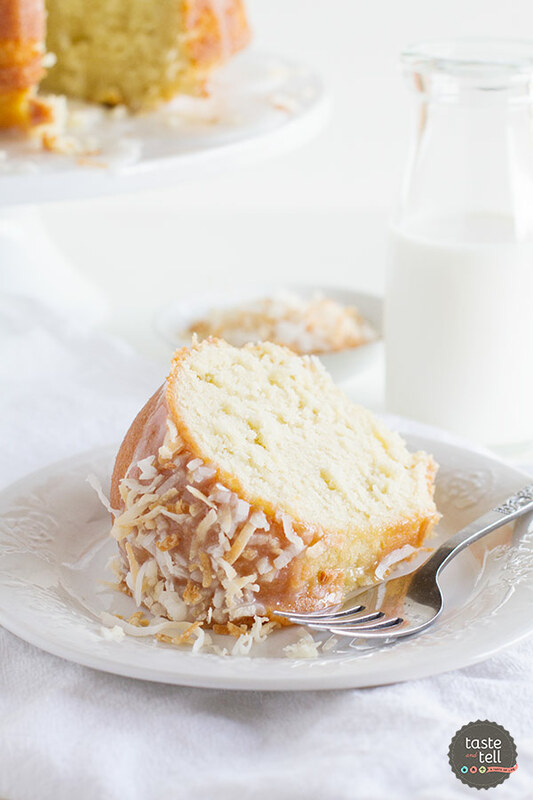 Coconut Bundt Cake – who doesn’t love that? Coconut in December totally reminds me of tropical Summer days. Bring back the fun! They might be on the simple end of the cake spectrum, but I LOVE bundts! Proof that you don’t need to go crazy complicated to have a great cake. I am so into this coconut flavor and must check out that ebook! Hi, is the coconut milk for the glaze unsweetened as well? Can we reserve 1/4 cup from the cake? Thanks! Yes, the coconut milk for the glaze is unsweetened. I probably wouldn’t cut any out of the cake. If you don’t want to open a new can, I would just suggest substituting in cream for the coconut milk in the glaze. Mmmm! 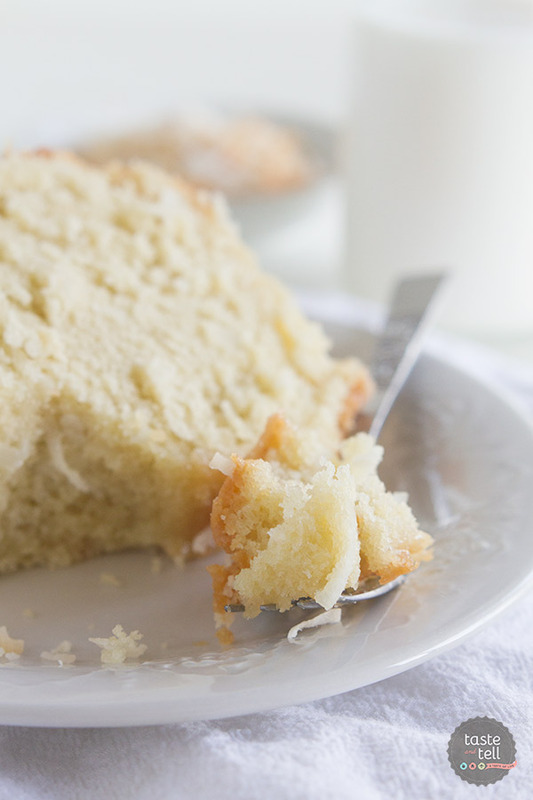 Coconut cake is such a fave – this looks delicious! I can’t wait to check out Sommer’s ebook! Can you sub coconut oil for butter? I haven’t tried, so I’m not sure. But I definitely think it would be worth a shot! Yes, I was thinking the same thing regarding coconut oil. Maybe go half butter and half coconut oil. I would imagine that the oil would bring out even more coconut flavor to the cake, which I think is stronger and more defined then what you get with coconut milk. Just made this cake last night. Had to half it because large cakes and up spoling before we can eat them. I used unrefine coconut oil and the cake turn out perfect. The amount of sugar was way too much, so even with half recipe I only add a little more than 3/4 cup. Just the right amount of sugar. And the glaze was pure sugar, so a I had to toss it away…made other with just 4 tablespoon of sugar…plenty. Hi Deborah, I made your cake other day…the recipe is pretty large so I half it…Looking at the ingredients I notice the large amount of sugar, so I cut it by little more than 3/4 a cup ( for half recipe ). If I haven’t done, we wouldn’t be able to eat, cause it would be to sweet for us. I use unrefined, organic coconut oil and the cake turn out delicious. I also skip the sugary glaze and went with 4 tablespoon of confectioner sugar for 1/4 cup of coconut milk. How long do you cook the full recipe? Think I could use flax eggs? I have never used flax eggs, so I couldn’t say for sure, but if you’ve had good luck baking with them before, I’m guessing it would work! 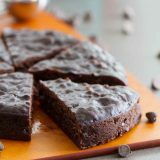 Can I use cake flour instead of AP flour ? If I can, then no cornstarch needed but baking soda yes? Hi Mark, I have actually never substituted cake flour in, so I’m not sure what would work. I definitely think it would be worth playing around with, though! Hi Dorothy, a can of coconut milk is 13 oz, so 1.625 cups. Just make sure that the coconut milk you are using is just coconut milk, not with added water, as that would change the final outcome of the cake. I made this coconut cake this afternoon and it smells wonderful! I cooked it in my gas oven for 67 minutes and it turned out beautifully!! Looking forward to dessert! Be Aware!! 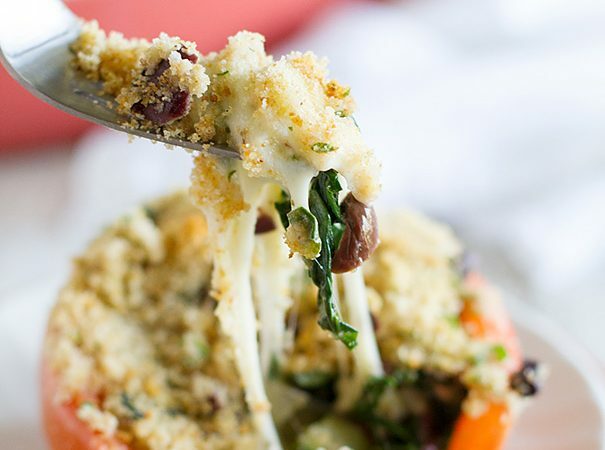 This recipe made 2 times the amount of filling so it overflowed all over my oven….what a mess! Use only half of the ingredients, unless you are making two cakes!! I’m excited to try this recipe. If I used a regular sweet can of coconut milk, should i reduce the amount of sugar and replace it with something else? This went over extremely well at my workplace, very moist and delicious! 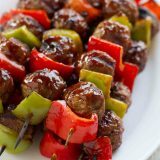 The only changes i made was to add 1tsp of coconut flavoring to the mix, and I used regular milk in the sauce. Will make again !! I’m so glad it went over well!